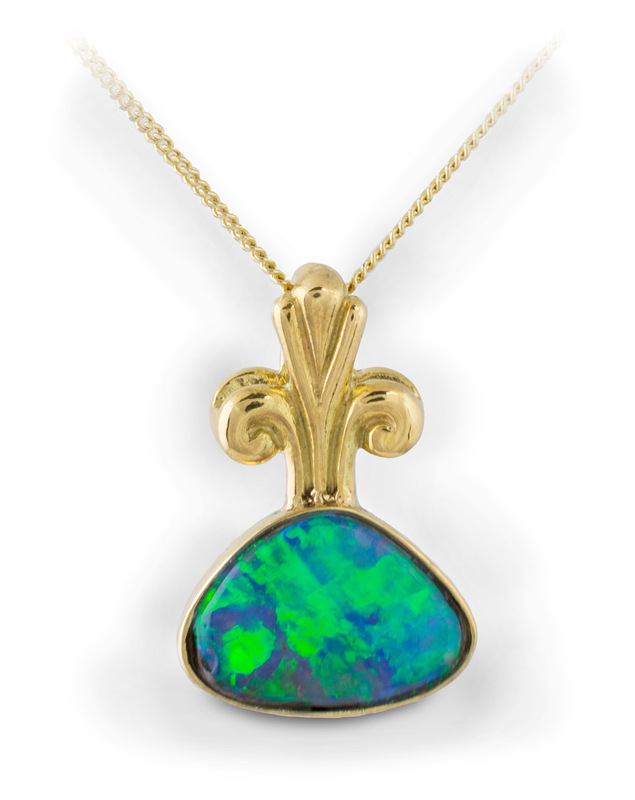 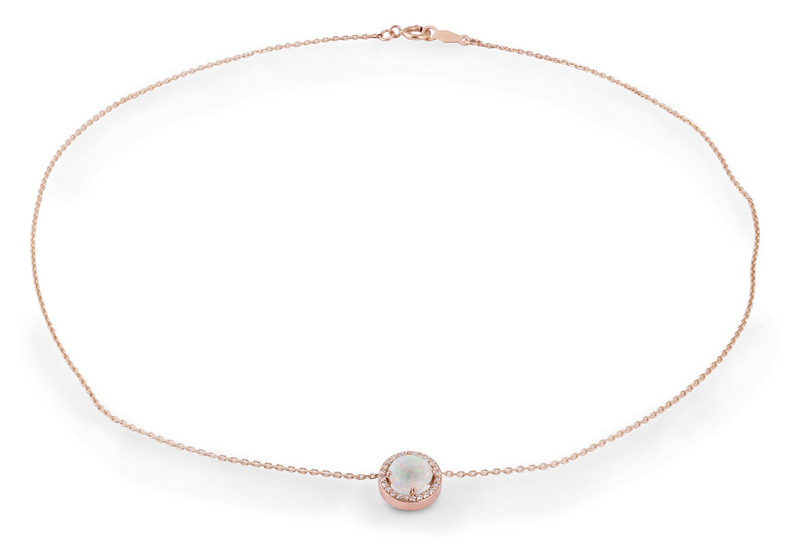 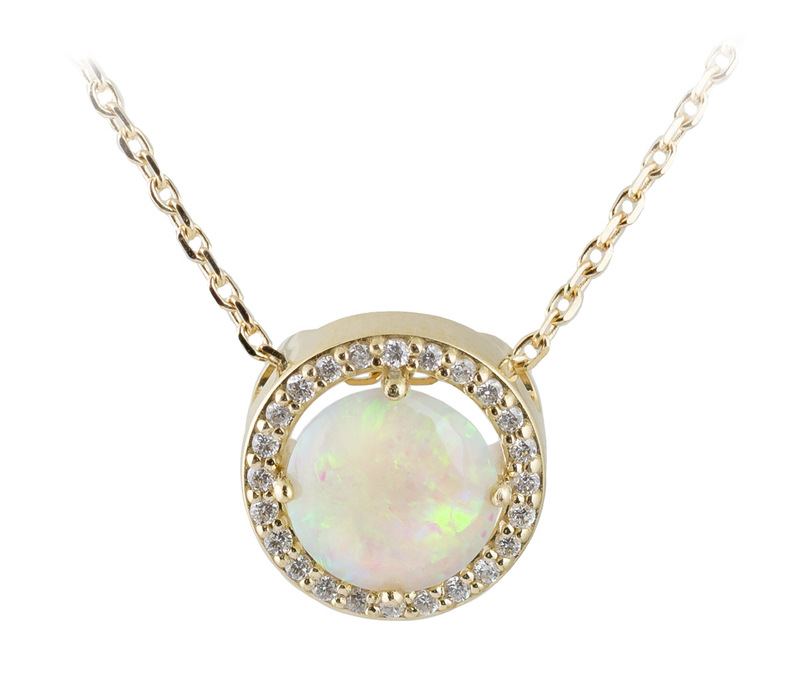 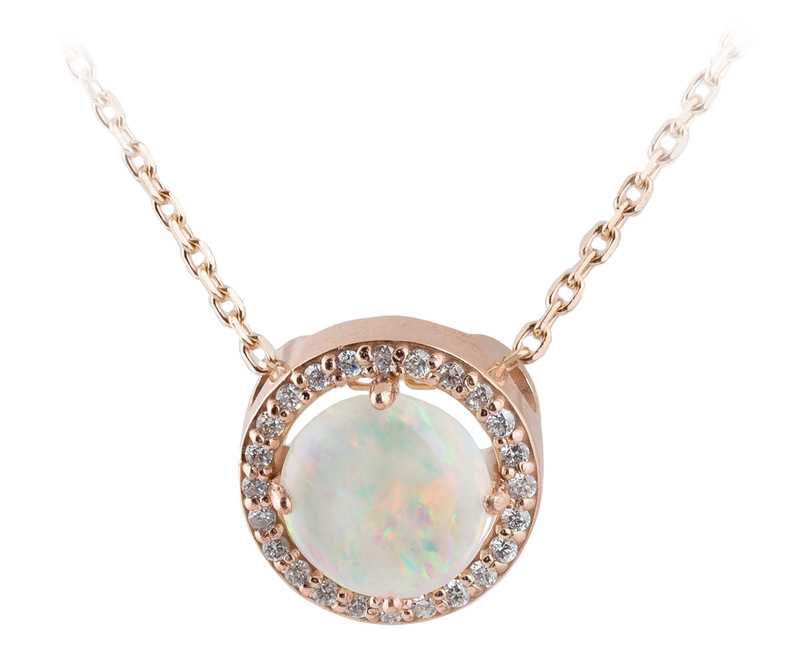 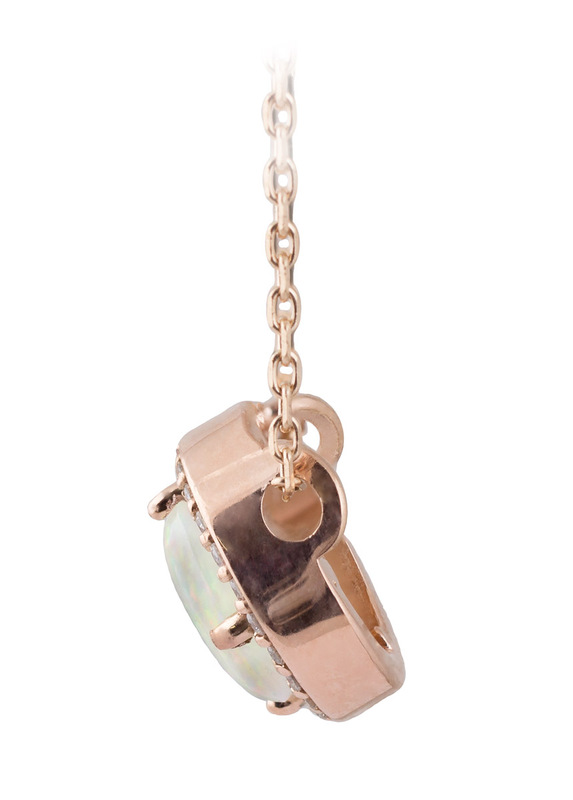 This stunning pendant has a lovely opal at its center, surrounded by a halo of glittering diamonds. 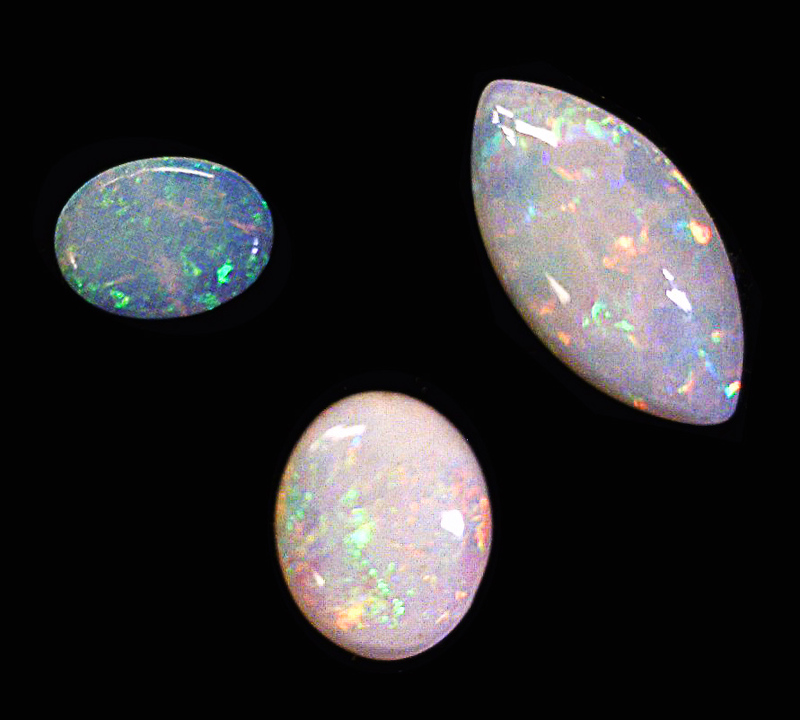 Opals are unique among gemstones in their iridescent quality, flashing rainbows as they catch the light at different angles. 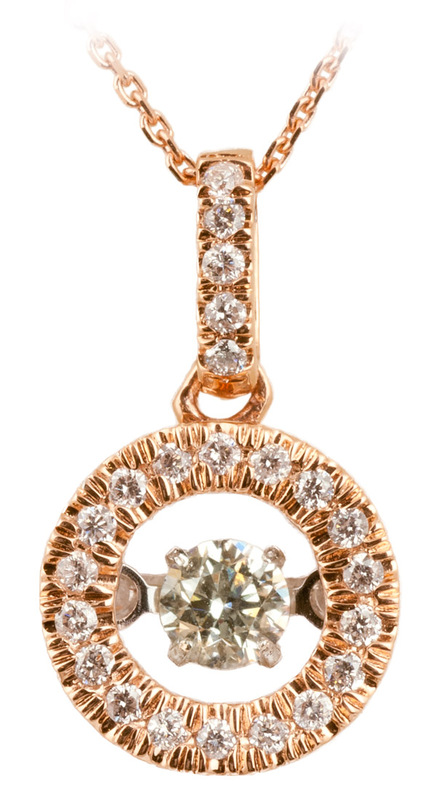 This pendant makes a trendy and elegant gift idea that is sure to please.